A landmark day in women’s football has provided Ada Hegerberg with the first ever women’s Ballon d’Or trophy. The Norwegian striker, only 23 years of age, blew away the competition in 2018, her goals being crucial in Lyon’s domestic and European double. Hegerberg’s rise to the top of global football is one to be admired. Alongside her sister, Andrine, she quickly shone in Norwegian football, scoring 15 goals in 30 games with Kolbotn, before moving to Stabæk. It was at Stabæk that Hegerberg truly showed her talents, finishing top scorer in the 2012 season as well as lifting the Norwegian Women’s Cup. A swift, and successful, spell in Germany was followed by a move to European giants Lyon in 2014. 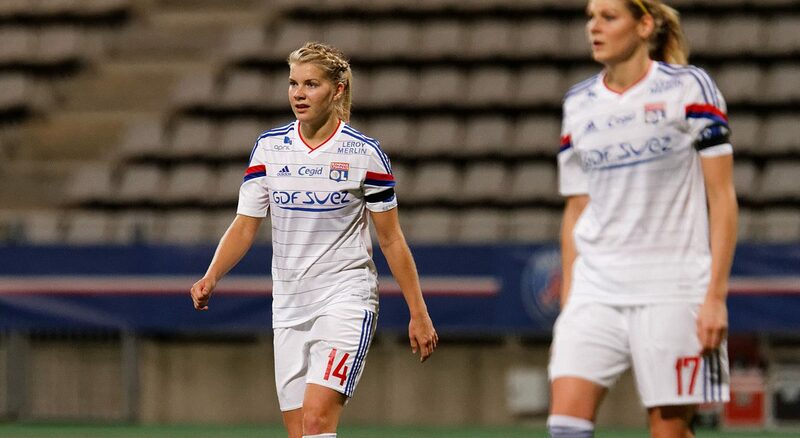 In France, Hegerberg began to show her dominance on the pitch. In her first 4 seasons Hegerberg won the Coup de France 3 times, the Division 1 Féminine 4 times and the UEFA Women’s Champions League 4 times, scoring a staggering 175 goals along the way. Hegerberg has also had a great impact on her national team, helping Norway to the final in the 2013 UEFA Women’s European Championship. Her side narrowly lost out to Germany, losing 1-0 in the final. The room fell silent as Hegerberg brushed off Solveig’s later self-proclaimed ‘joke’. In what was an evening where both the career of Hegerberg and women’s football in general seemed to be looking towards a bright future, the presenter managed to reveal himself to be living in the past. In an interview that took place after the awards, Hegerberg revealed that Solveig had apologised but more importantly to her, she felt the achievement of winning the Ballon d’Or to be “incredible” and that she was “just happy”. Being only 23, Hegerberg’s reign is surely one that will be long-lived. However, after only just pipping fellow Scandinavian Pernille Harder to victory this year it is evident that the competition at the top of the women’s game will only get stronger. Elsewhere, Luka Modric won the men’s Ballon d’Or, putting an end to the decade-long supremacy of Lionel Messi and Cristiano Ronaldo. With the Argentinian and Portuguese superstars sharing 5 trophies each since 2008, the 33-year-old Croatian has, to many people’s surprise, been the one to topple the duopoly. The awards were rounded off with Kylian Mbappé taking home the Kopa (under-21) trophy. The young Frenchman won the award at a canter, proving why he is one of the most talked about talents in world football at the moment.